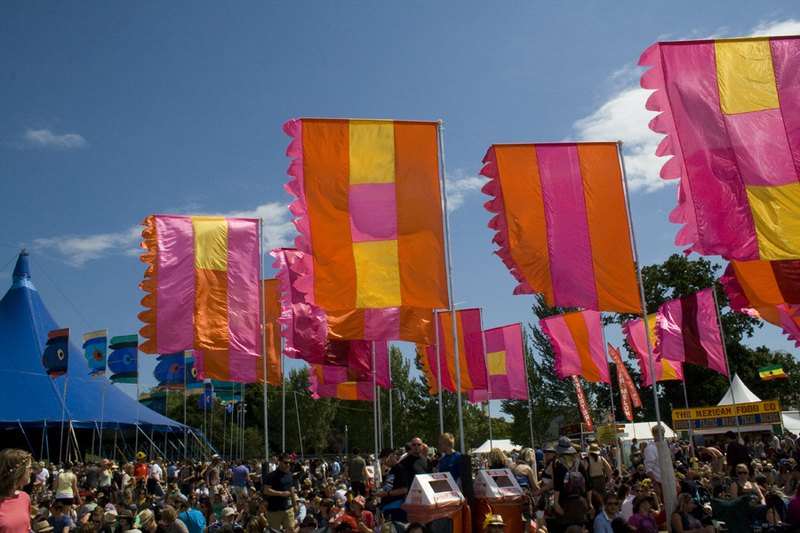 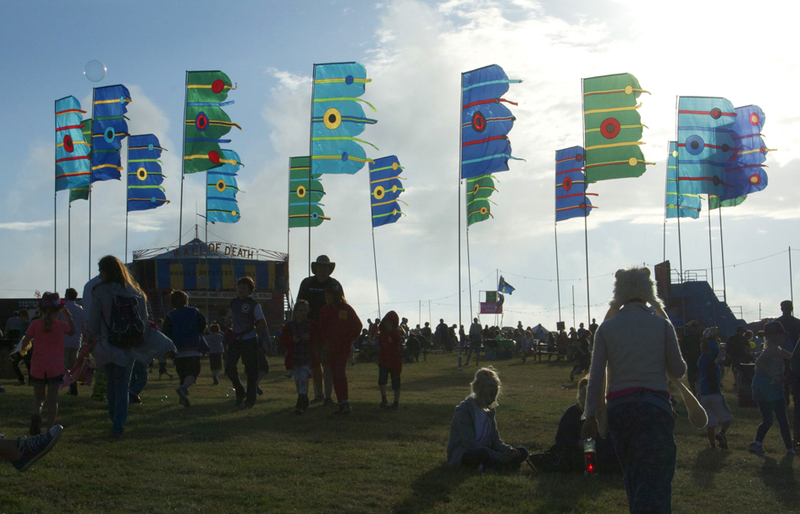 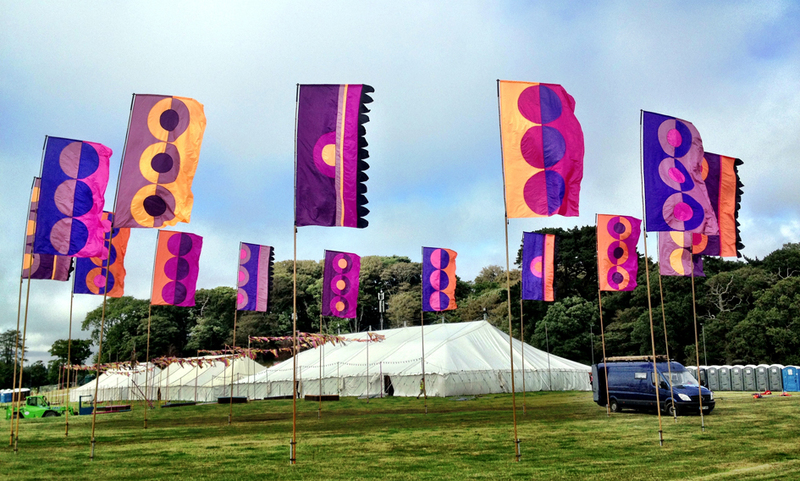 Artist Liz Cooke began creating event flags in 2008, as part of a commission for the Isle of Wight Festival. 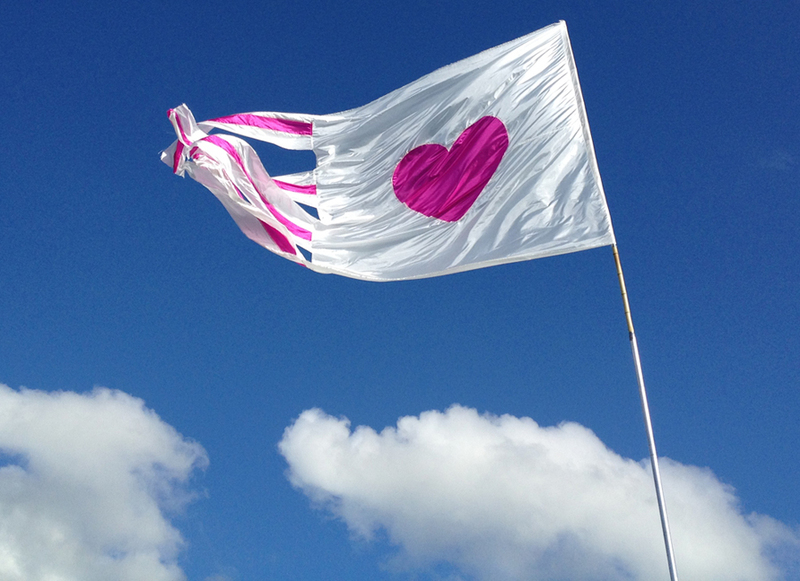 Since then this aspect of her creative practice has grown in momentum, and she has become increasingly fascinated with the way in which flags can transform the landscape with their ever changing flow of movement and colour. 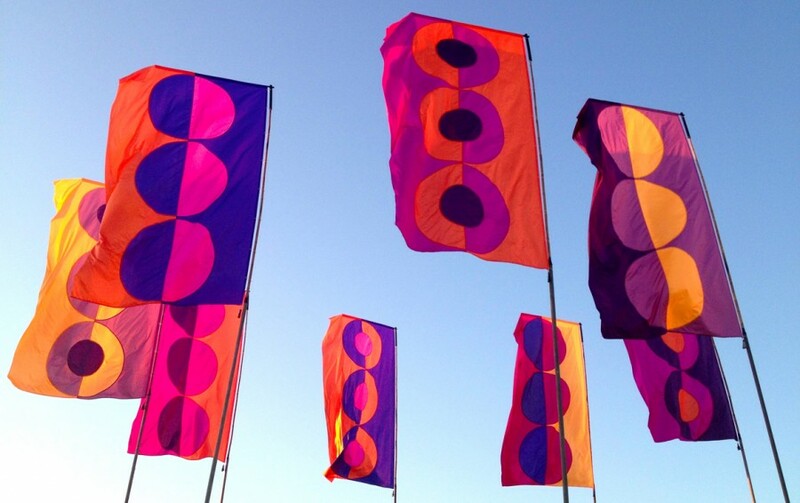 Please contact Liz for details regarding hiring the flags for your event.